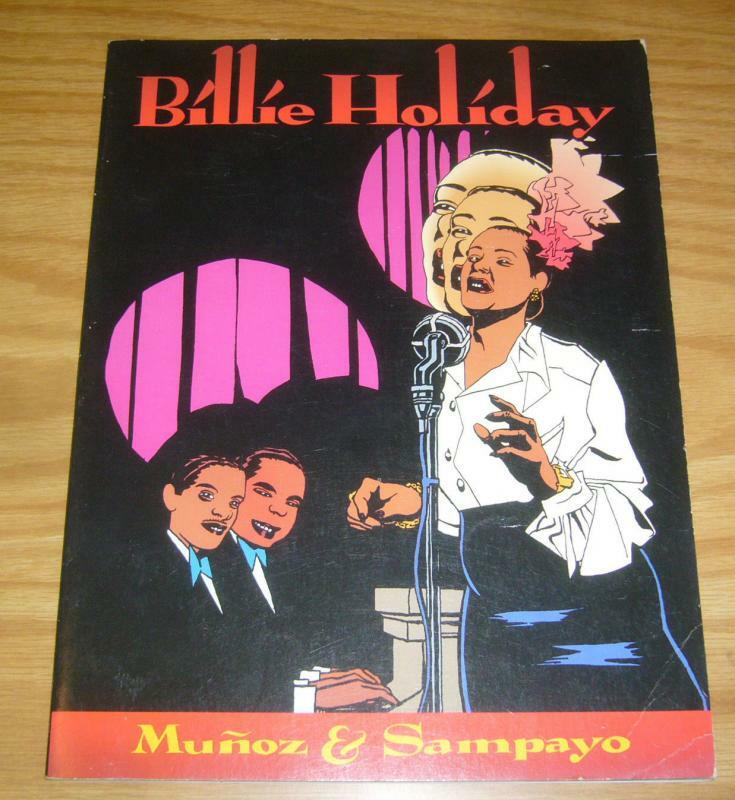 OTHER INFO: Born in Baltimore in 1915, and dead too early in New York in 1959, Billie Holiday became a legendary jazz singer, even mythical. With her voice even now managing to touch so many people, we follow a reporter on the trail of the artist on behalf of a New York daily. Beyond the public scandals that marred the life of the star (alcohol, drugs, violence...), he seeks to restore the truth, revisiting the memory of Billie. Through this investigation, Muñoz and Sampayo trace, through the undertones of racism, and in the wake of the blues, the slow drift of a singer who expressed the deepest emotions in jazz. By internationally renowned Argentine artists, featuring Muñoz’ strikingly raw heavy blacks, this is not just a biography but a spell-binding art book tribute.